First of all, most important thing to know what is pagination? Most of the developers know about this but if you are beginner or do not know about pagination here is the explanation. Pagination is used to display or handle the large number of sobject records and breaking the large number of records into the separate pages for viewing with in the salesforce so that you can improve the visualforce page or lightning component load times. Pagination can be done using multiple ways. If you are dealing with limited records like upto 2,000 then you can use SOQL Offset in custom controller and display in visualforce using next and previous buttons or scrollbar. But if you have requirement for more than 2,000 records then you can use Standard Set Controller and paginate records upto 10,000. You can set any number of sobject records like 20,25 or any other number per page with the help of pagination. In the article I am going to explain pagination using SOQL Offset in custom apex controller and display records in visualforce with the help of visualforce remoting and jquery. This will also help you to understand some basic concepts of visualforce remoting and jquery. So we have talked too much now It’s time for some code. As you can see 15 Account (sobject) records per page is displaying using SOQL Offset. Some pointers related to above visualforce page and apex controller which would be helpful to understand. Refer Below Links for some more details of Pagination. Hey Salesforce Ohana, I am back with new blog post. In this blog I will explain How to create a Remote Site Setting through coding. Most of developer or admin usually create Remote Site Setting through Remote Sites Section [Administer -> Security Control -> Remote Site Settings] in your Salesforce organization. If you do not know what is Remote Site Setting? Why we use Remote site setting? You can refer this blog post for complete details. Now it’s time for coding. Before starting , you should know about MetaData API . A Secrete key to access, create your salesforce.com Metadata like Workflows, Remote Site, Validation Rules. Let’s download MetaData WSDL File [Build -> API -> MetaData WSDL] and generate apex class using this WSDL File [Build -> Develop -> Apex Classes -> Generate from WSDL] or you can refer this MetadataService apex class. Add your Salesforce Organization domain name and your visualforce page domain name in Remote site setting by following steps. Now, Create a Visualforce Page for input Remote site details and apex controller for business logic. Below is your apex controller code which will call MetaDataPort Method in the MetaDataService apex class for generating of session Id your salesforce organization and enter remote site details and call createMetaData() method. You can refer the complete code here. Hello guys , I am Back with my new Blog Post . In this Post You will Learn Two things . 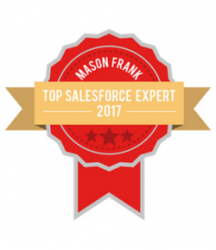 First of all Do you Know about Salesforce Ajax Toolkit ??? If you don’t know then do not worry just take long breath and read this artical. Let’s come to the Point and discuss What is Salesforce Ajax Toolkit ????? You can query Salesforce Objects Data , Create records and attachments without using Apex with your Visualforce Page. Now the Questions arise When to use ajax toolkit?? Best situation to work with ajax toolkit is when you have to work with small amount of data. AJAX works best with small amounts of data (up to 200 records, approximately six fields with 50 characters of data each). You have to follow three steps for working with ajax toolkit in your visualforce Page. After execution of Connection.js script , the toolkit is loaded and a global object, sforce.connection, is created. This object contains all of the API calls and AJAX Toolkit methods, and manages the session ID. You can go through the Salesforce Ajax Toolkit Developer Docs for more reference . Here is the Look of your Visualforce page . When you Load the Page . When you Clicked Upload Button Without Record ID in URL . When you Clicked Upload Button Without Selecting File for upload. When you selected file and clicked Upload Button . Here is the Visualforce Page Code With Ajax Toolkit.